Combine all ingredients into a pot. 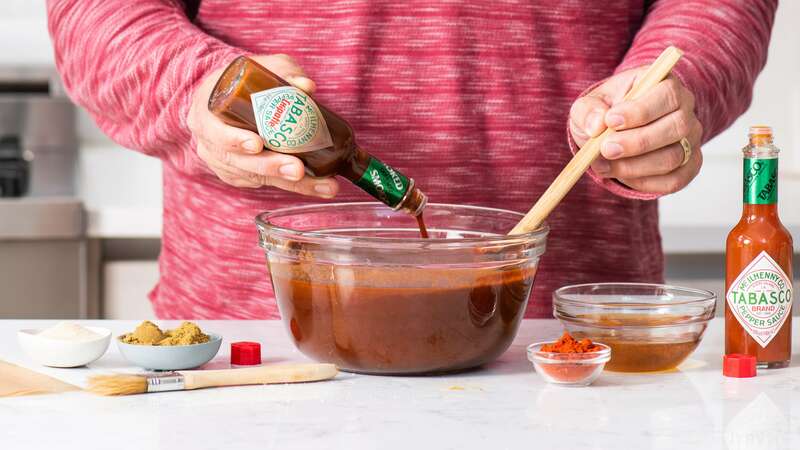 Whisk ingredients together on medium-high heat until sauce begins to slightly simmer. Turn off heat and set aside to cool. Best if used the next day to allow flavors to meld together.